Since 1992, Reelin' In The Years Productions has been recognized as a world leader in footage licensing. 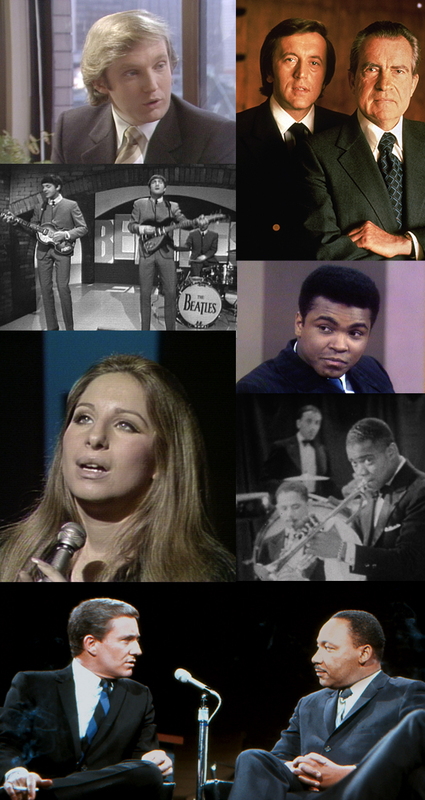 The archive houses over 20,000 hours of music footage spanning 90 years and 7,000 hours of in-depth interviews with the 20th century's icons of Film and Television, Politics, Comedy, Literature, Art, Science, Fashion and Sports. The interviews are primarily from the archives of Sir David Frost, The Merv Griffin Show, Rona Barrett and Brian Linehan's City Lights from Canada. Our archive is fully searchable on our web site. We offer free research and fast digital delivery of screeners, usually within 24 hours. Please contact us so that we can help you find the best footage for your project. Whether you're looking for music footage from The Beatles to Beyonce, entertainers from Bette Davis to George Clooney, or history makers from Dr. Martin Luther King to President Bill Clinton, we are your one-stop shop.